The Beacon Athletics crew is back from the January trade show circuit. ABCA. STMA. Lots of regional events! All the shows were great, but we were especially excited about the reception we received from visitors to our booth at the annual Sports Turf Managers Association conference in Denver earlier this month! 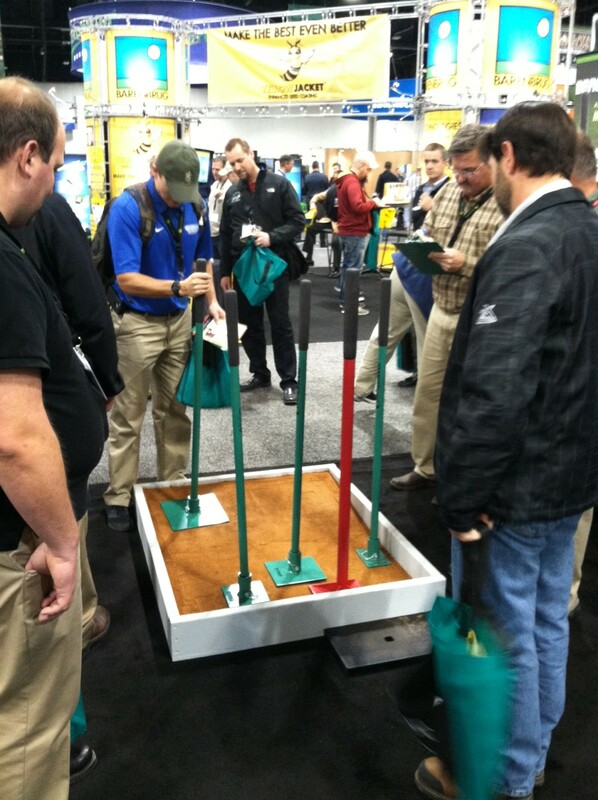 At the STMA show, we launched our latest innovation, the SweetSpot Tamp. People’s reaction to the tamp was so fun to watch. It only seemed to take one or two swings of the new tamp by any trade show visitor to the booth to hook them on the benefits of this great new tamp. Beacon blew through our first production batch of SweetSpot tamps in less than a week!! Fortunately, we’ve since ramped up production to stay ahead of the deluge of orders. 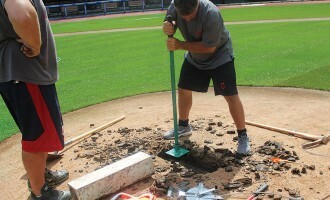 Tamps have been around forever, and are a must-have tool for any field maintenance expert. It’s amazing how our tamp really sells itself as soon as someone tries it. The articulating head practically insures a square hit every time whether you are on a flat surface or the front slope of a mound. 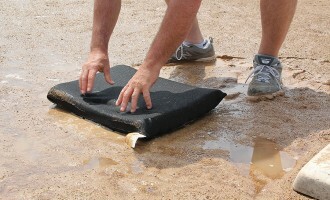 What really caught every groundskeeper’s attention was the “damping effect” that is a part of the handle design. This “damping effect” drastically reduces or eliminates vibration of the tool all the while keeping any recoil from the tool’s impact at a minimum. That equates to less operator fatigue and risk for injury. 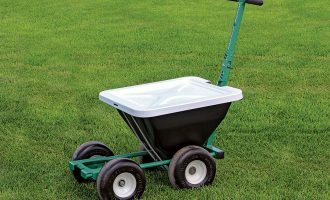 The four plate or head sizes offer your grounds crew user tremendous flexibility. Where else can you get four tamps in one?! Show attendees played with all of the various sizes with the 8” x 8” and the 6” x 4” the early winners but the 10” x 10” and the 6” x 6” have been catching up. It’s always exciting to launch a new product but this one was truly innovative addressing several problems with the age old tool. We hope that those who missed the introduction at the STMA show think about picking up one of these tamps. Once you’ve tried this tool, it will be hard to let go of it. Trust me on this one.